The U15 PDA Slammers defeated MatchFit Chelsea Lightning, 3-1, on Sunday, May 22, capturing their third New Jersey State Championship and qualifying for the USYS Region 1 Champhionships for the 3rd consecutive year. In a total team effort, the PDA Slammers completed their U15 NJ State Cup Championship run by defeating the MatchFit Chelsea Lightning 3-1 on Sunday, May 22nd. The PDA Slammers took a 1-0 half-time lead on goal by Caroline Chagares off a corner kick seconds before halftime. The Slammers then expanded their lead to 3-0 with two goals from Natasha Ntone Kouo in the second half. 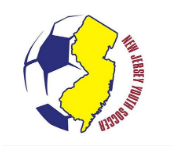 In the 2011 NJ U15 State Cup bracket play, the PDA Slammers also defeated the Matchfit Chelsea Beat (who has qualified already for USYS National Championship by finishing in 2nd place in the USYS National League) in a well played State Cup quarter-final game. 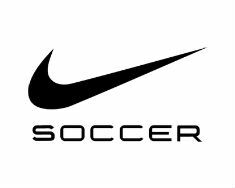 In the semi-finals game the Slammers defeated the South Jersey Elite Barons 5-0. Well done, PDA Slammers, on winning your 3rd NJ State Cup and qualifying for the USYS Region 1 Championships for the 3rd consecutive year.